We grow disciples of Jesus Christ among adults and their families. 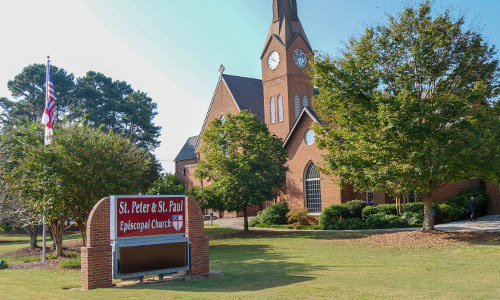 Opportunities include five different Sunday School classes & groups that meet 9:15 – 10:15 AM. We also provide evening classes & groups, a fellowship group for 20s & 30s, several weekday Bible studies, retreats (for men, for women, and for the whole parish). We also sponsor special events and programs, including multi-generational and inter-generational programs such as the weekly Lent program. ​The Brotherhood of St. Andrew for men, and the Daughters of the King for women. 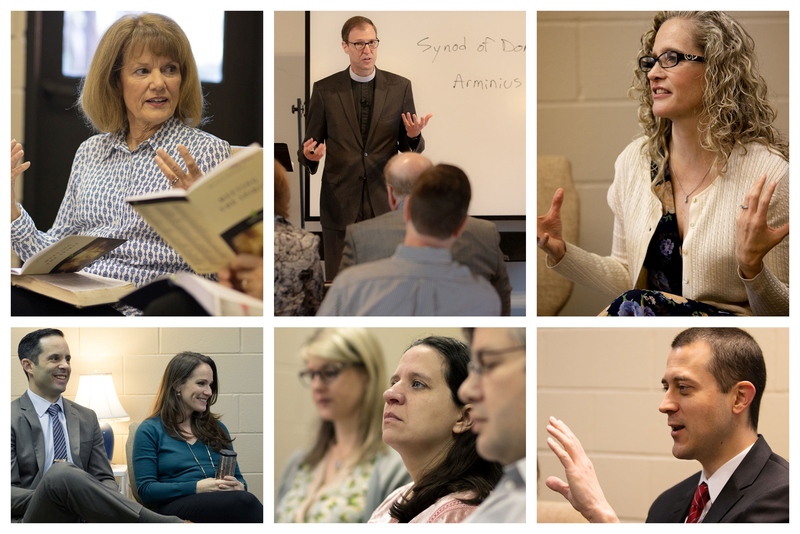 To read the Mission & Vision of Adult Christian Formation, Click Here. For handouts from various adult classes, Click Here. For more information, contact Kim Nancarrow at kimnan@comcast.net. Learn new practices to help you and your family engage with God in Lent. New faces are welcome! Classrooms are located in the downstairs hallway across from the Choir Room – between the Children’s & Youth’s classrooms. Join Mike and Kim Nancarrow as we help parents of teens not just survive but THRIVE on God’s grace and encouragement from others. Join John and Sara Clark for a discussion of discipleship for families. We are currently studying the book “Boundaries with Kids” by Dr. Henry Cloud and Dr. John Townsend. It’s all about teaching our children to take responsibility for their own actions, attitudes, and emotions and is rooted in Biblical wisdom. We are also creating great friendships and helping each other through this crazy and amazing time in our lives. Who is the Holy Spirit? How does he change our lives? How does he work in the world? Please join our Sunday Morning Women’s Bible Study group as we start our new study on the Holy Spirit. You will see that the Spirit of God is eager to work in your life to draw you closer to God. For questions, please contact JoAnn at tjgotschall@comcast.net or Eileen egmittle@att.net. Each week a different hero from the bible will be presented by the facilitators, Jim Woodruff and John Patton, with some background material and bible verses for discussion. it is always amazing to see how God takes ordinary people and helps them accomplish “extraordinary feats”. Featured heroes during Advent include Zachariah, Elijah & Prophesy, and Mary. Mothers of PreSchoolers, Monthly, Mondays. It is a gathering of local mothers who support, encourage and have fun together and serve others in the community through mission focused partnerships and the SPSP Service Forum. For more information, contact Joanne McRae at joanne.r.mcrae@gmail.com. Tuesday Golden Girls’ Bible Study (off in summer), Time: Tuesday morning-10:30am-11:30am Location: Garden Room Facilitated by Connie Kerdasha and Priscilla Swart. Tuesday Evening Adult Bible Study (year round) Time: Tuesday evening 7:00pm-8:00pm Location: Room 7 Facilitated by Amy Stillwell. Wild Women of Wednesday Bible Study (year round) Time: Wednesday morning- 10:00am-11:15am Location: Garden Room. Facilitated by Amy Stillwell. Supporting the Caregiver (year round) Time: 2nd Thursday of each month, 12:00 – 1:00 PM, Location: Room 1. A lunchtime support and discussion group for those caring for loved ones who are ill. Facilitated by The Rev. Elisa Harres. For more information, Contact Elisa Harres at eharres@peterandpaul.org. Prayer Shawl Knitting Ministry (year round) Time: every other Thursday, Location: Downstairs in the Sunday School Lobby. For more information, contact Polly Sapitowicz at psapitowicz@gmail.com. Brotherhood of St. Andrew, ​Time: Every other Saturday- 7:00am- 8:30am Location: Garden Room We meet for breakfast, fellowship, prayers and a lively Bible Study discussion. New faces are welcome! For more information, contact Chuck Matheson at cmathe1234@gmail.com. Daughters of the King, ​Time: Saturday- on a monthly basis – 11:00am- 1:00pm Location: Garden Room We meet for breakfast, fellowship, prayers and a lively Bible Study discussion. New faces are welcome! For more information, contact Amy Stillwell at amystillwell55@gmail.com and Marci Thomas at marcithomas2007@yahoo.com. Continuing the Conversation: a Group for People in their 20s & 30s (year round), Time: 2nd Sunday of every month at host’s home. For more information, Contact Leigh Mickalonis at leighmickalonis@gmail.com. See the “Weekday Bible Studies and Groups” tab. Discipleship Groups are small groups for prayer, Bible Study and fellowship. Contact the church office for a full schedule of the current groups and their leaders. Year 4: Systematic Theology while it is a four-year program, individuals commit for only one year at a time. EfM is for lay people, who face the difficult and often subtle task of interpreting the richness of the church’s faith in a complex and confusing world. They need the kind of theological education which supports their faith and which also trains them to express that faith in day-to-day events. As the emphasis on lay ministry has grown in the latter part of the twentieth century, EfM has come to be an important part of that growth by providing a program that develops an informed and knowledgeable laity.